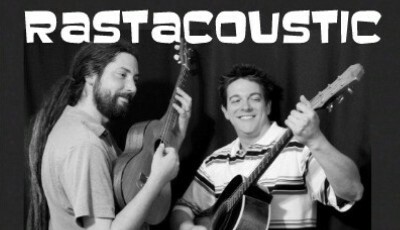 Rastacoustic is an Appalachian Reggae group that combines Roots Reggae music with the Appalachian folk style. Their eclectic influences range from the Blue Ridge Mountains of North Carolina to the Blue Mountains of Jamaica creating a one of a kind musical experience. Rastacoutic is made up of Peter Brown and Justin Butler, two well-seasoned musicians that have collectively performed all across America, Canada, and Japan.